Across the Middle East in the post–World War I era, European strategic moves converged with late Ottoman political practice and a newly emboldened Zionist movement to create an unprecedented push to physically divide ethnic and religious minorities from Arab Muslim majorities. States of Separation tells how the interwar Middle East became a site for internationally sanctioned experiments in ethnic separation enacted through violent strategies of population transfer and ethnic partition. During Britain’s and France’s interwar occupation of Iraq, Palestine, and Syria, the British and French mandate governments and the League of Nations undertook a series of varied but linked campaigns of ethnic removal and separation targeting the Armenian, Assyrian, and Jewish communities within these countries. Such schemes served simultaneously as a practical method of controlling colonial subjects and as a rationale for imposing a neo-imperial international governance, with long-standing consequences for the region. 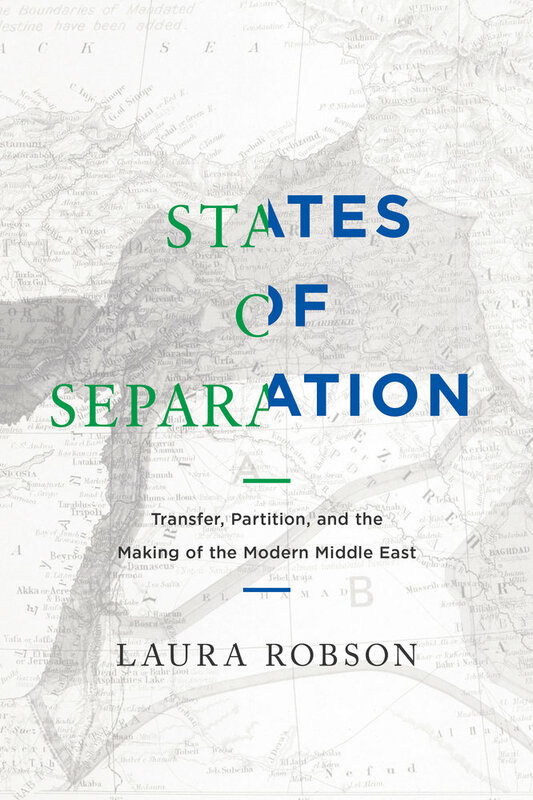 Placing the histories of Iraq, Palestine, and Syria within a global context of emerging state systems intent on creating new forms of international authority, in States of Separation Laura Robson sheds new light on the emergence of ethnic separatism in the modern Middle East. Laura Robson is Associate Professor of Modern Middle Eastern History at Portland State University. She is the author of Colonialism and Christianity in Mandate Palestine and editor of Minorities and the Modern Arab World: New Perspectives.